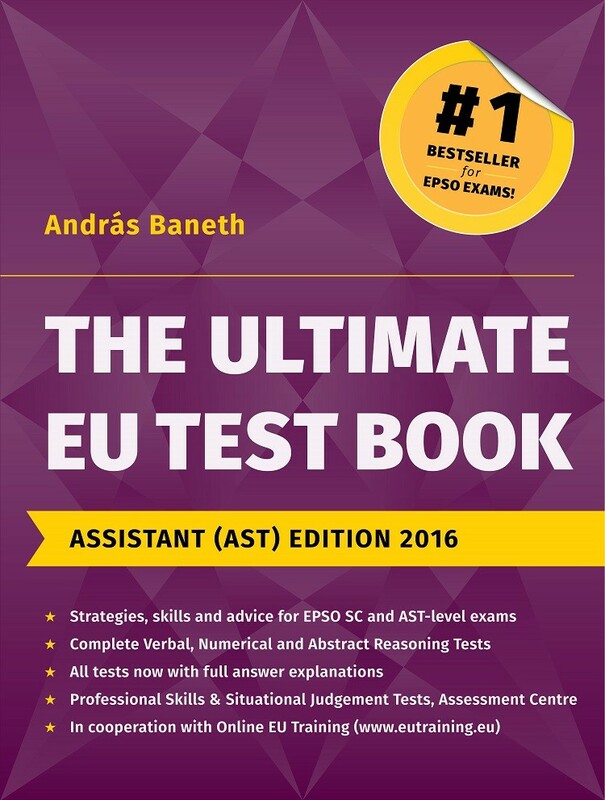 The Ultimate EU Test Book Assistant Edition 2016 is designed to help candidates prepare for AST and SC level European Personnel Selection Office (EPSO) competitions, covering all aspects and with detailed practical advice and test exercises. The focus is on the so-called pre-selection tests as this is where the great majority of candidates fail. There are chapters on the skills and shortcuts needed in tackling verbal, numerical and abstract reasoning questions, with comprehensive practice exercises designed to simulate AST-level competitions. Multiple choice questions are accompanied by detailed answer explanations to enable you to understand your mistakes and improve your speed and accuracy. The book also includes situational judgement tests, with practice scenarios as well as the tests in prioritising and organising, and in accuracy, faced by AST candidates. Chapter 1. The EU Personnel Selection and Recruitment Process. Chapter 2. Verbal, Numerical and Abstract Reasoning Tests in EPSO Assistant Exams. Chapter 3. Succeeding in Verbal Reasoning Tests. Chapter 4. Verbal Reasoning Test. Chapter 5. Succeeding in Numerical Reasoning Tests. Chapter 6. Numerical Reasoning Test. Chapter 7. Succeeding in Abstract Reasoning Tests. Chapter 8. Abstract Reasoning Test. Chapter 9. Succeeding in Situational Judgement Tests. Chapter 10. Situational Judgement Test. Chapter 11. Prioritising and Organising Test. Chapter 13. Facing the Assessment Centre.